Rolls-Royce packs nukes under their hoods, we’ve just never heard it until now. Aside from being on the endangered species list, the V12 engine is little more than a bragging right, a way to tell the world that in many cases, despite making as much power as a V8 can easily make, you’re inexplicably better than someone else because your car has more holes in its engine block. It’s an idea we can get behind despite the fact that it’s illogical, and so do owners of high-end luxury cars for that matter. That’s why companies like Mercedes still offer twin-turbo V12 engines even though they are outdone by the twin-turbo V8s. The concept of charging high prices for bragging rights is one that Bugatti grasped well and executed beautifully, but even John Hennessey knows that a V8 can outperform a 16 cylinder engine as long as it's built right. Despite the capabilities, the V8 is just not as special. However there is one thing that a V12 has in common with a V8: it can make beautiful music. 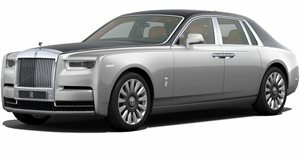 Rolls-Royce, another automaker obsessed with making its buyers feel as if they are better than everyone else by using V12 engines, is not exactly known in the performance realm. It never really disclosed power outputs on its cars, saying only that it was “adequate.” Even now, with the “performance” member of the family, the Wraith, we rarely get to see a Rolls-Royce conquering a quarter mile drag strip or in a rev match because they aren’t designed for such tasks. However, with a little modification (the removal of the mufflers), we get to witness the latter of the two feats with 6.75 liters of straight-piped glory.